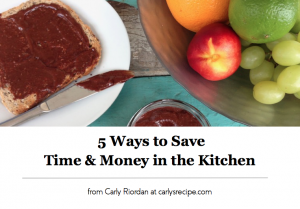 Simple, tasty side dishes are invaluable. Asparagus is at its best in Spring and through Summer, and this side is the perfect accompaniment to steak, chicken, grilled salmon, a poached egg or just on its own as a salad. Simple, light and delicious. After trimming the asparagus, place in a heat safe bowl and generously cover with boiling water for 2 minutes. Drain and refresh under cold water. 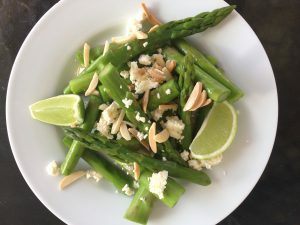 Place asparagus in a salad bowl and toss with feta, olive oil, lime juice and roasted almonds. Great as a side to be shared with friends or serves two as a salad to accompany grilled chicken, salmon, steak or poached eggs.